Ask any French person and they'll confirm it: Bordeaux is known throughout France for its wonderful wine. When it comes to the smoothest, the fruitiest and the sweetest, this southern region has the cream of the crop. It's not all about wine here though: the food is just as excellent. Whether you're tucking into a salty feast of fruits de mer (seafood) or the regional classic, entrecôte marchand de vin (fried steak with... you guessed it, wine), you'll be blown away by the gastronomic delights on offer. 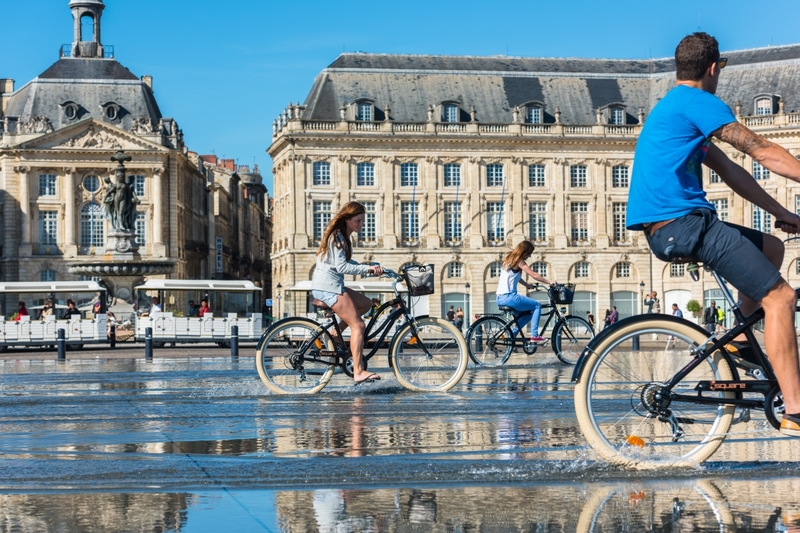 Our Bordeaux cycling tour is a fantastic opportunity to take in the fresh smell of the lush vineyards and gaze over the sparkling ocean as you speed along the coast. There are some real gems waiting to be discovered. Here are just a few of them. This port city is the true jewel in the crown of the region. The striking neoclassical architecture blends with the modern, and there's a vibrant atmosphere thanks to the student population and café culture. A visit to the Flèche Saint-Michel is an absolute must. The 114-metre-high spire dates back to the 15th century, and until 1990 had a rather grisly collection of mummies on display. The bell tower offers a panoramic view of the city too. While you're in town, don't miss the chance to sample the meaty delights on offer at the Bar du Boucher (literally the 'butcher's bar'). As well as serving dishes such as succulent steak and perfectly cooked duck, this restaurant features a cool stone interior complete with ceiling arches: the perfect setting for sampling the vast selection of wines on offer. This charming medieval city has a plentiful collection of interesting buildings and regional history. The Place du Mercadiou is probably the most famous attraction. Just having a wander through the sandy-hued ancient arches is a well-spent pastime in itself. The 14th-century church of St Saviour and St Martin is especially impressive. The incredibly intricate murals hidden within tell the story of St John, as well as the Apocalypse. As you might expect, the city has a generous share of Michelin-starred restaurants. Abricotier is a good choice if you're after some simple but delicious fare – ideal after a day in the saddle. There's also Claude Darroze, which has a 600-strong collection of Bordeaux wines to enjoy with your meal. Our Bordeaux tour weaves in and out of vineyards and plum orchards, which will undoubtedly whet your appetite for learning exactly how grapes are turned to wine. 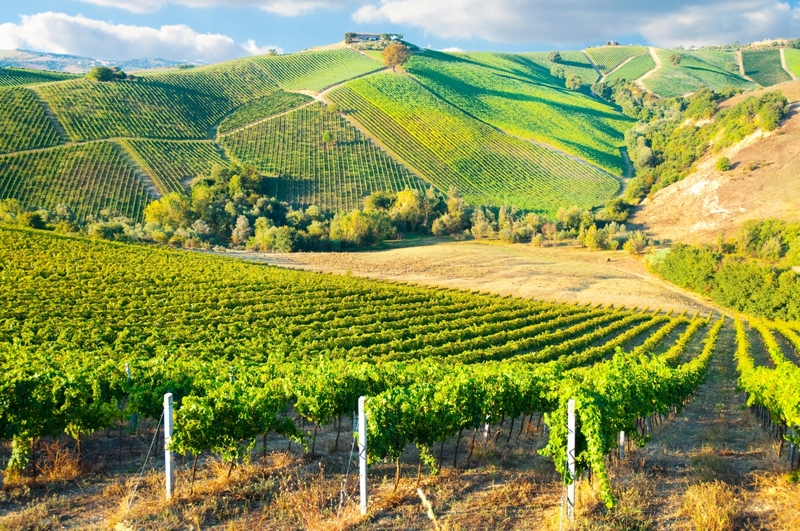 You can’t visit Bordeaux without a guided visit of the vineyards. Why not take a cycle tour around the Saint-Emilion vines, complete with lunch in the grounds of its château? This tour will be extra convenient as you'll already have your bike to hand.